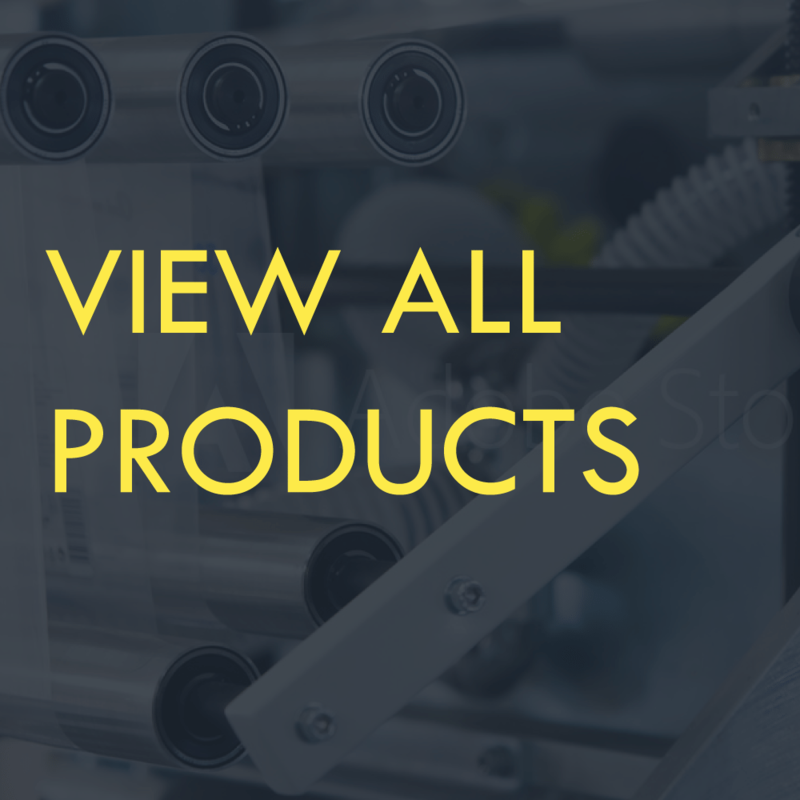 Perfect for office, retail, shipping room, gift wrapping, institutional, industrial, and many other areas where cellophane tapes are used. Attractive and available in white and gray colors. For tapes up to 3/4 inch wide on either a 1 inch core. 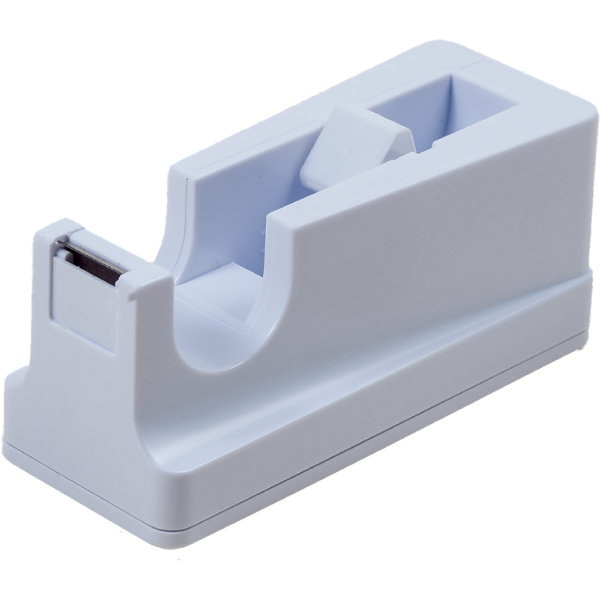 The compact and sturdy Tach-It B-24 desk dispenser is available in white and gray. 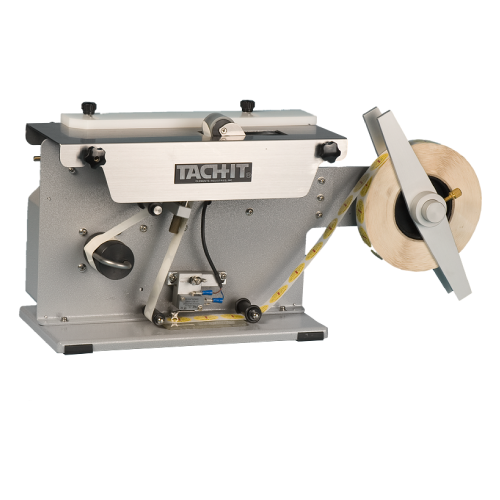 This dispenser handles tape up to 3/4 inch wide on a 1 inch core with up to 1296 inches of tape per spool. 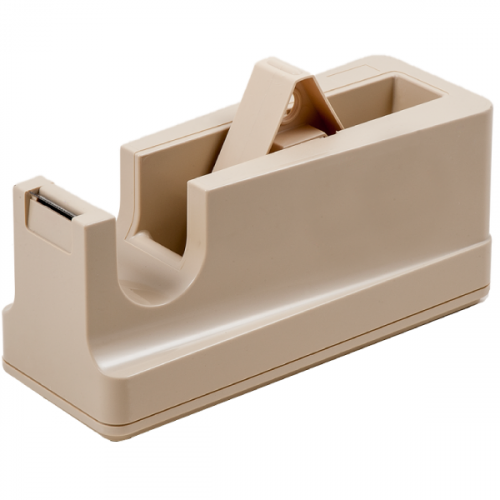 This weighted dispenser has a non-skid base.